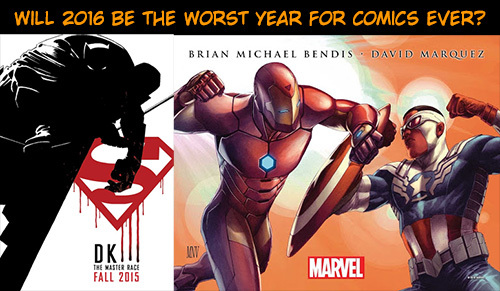 Will 2016 Be The Worst Year for Comics Ever? I once predicted that 2015 would be the year the paper comic industry collapsed. I was quite wrong about that. And while there were a number of factors that contributed to my faulty prediction, there are also some signs that I may be more right than it seems. Also, I didn't foresee the dramatic influx of fans that cosplay has brought in. 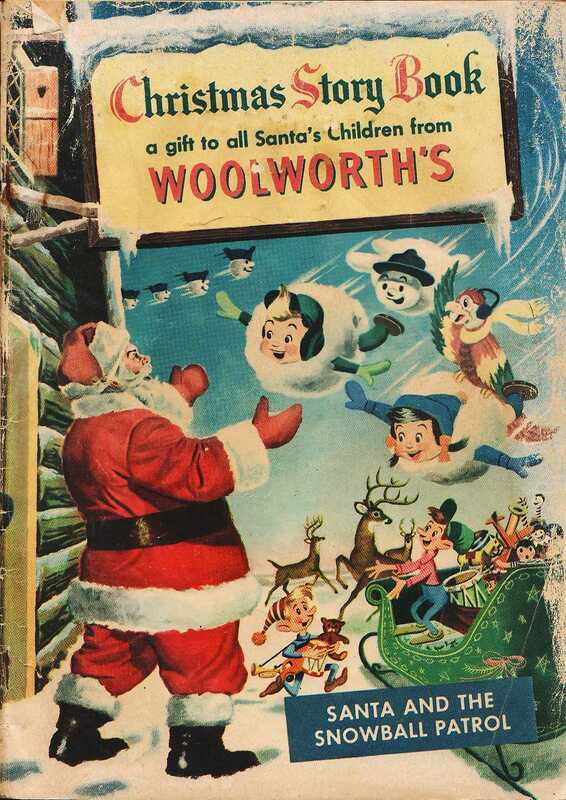 Also, while the movies and shows may not have a one to one effect on sales, (excluding Walking Dead) they have definitely raised the cool cachet of comics that any nerd factor sales barriers have been virtually erased. I bet that has helped first time walk in sales at local comic shops a lot. With that said what will the next year bring? Well despite all the things I've just mentioned, I think the big two are actually in for a rocky year. And Marvel's All New All Different sales relaunch after Secret Wars isn't looking too good. 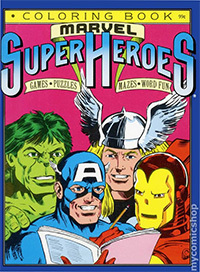 And I hear a lot of fans saying the core titles have the narrative weight of a Marvel coloring book as the stories don't seem connected to a shared continuity. We've already seen one big sales dip this year. Was that a fluke or the real base of sales when there's no Secret Wars or Marvel Now 3.0 raising sales? How much will Dark Knight III and Civil War 2 really help both companies? In discussing this topic with friend Trey Causey, we sort of agreed that part of the problem is the industry is chasing the ghost of a marketplace that may not exist anymore. That is to say that when you look at independent comics from Image, the success threshold is much lower. Image comics are allowed more time to try to find an audience. Conversely, DC seemed to throw in the towel on their DC You initiative too quickly. 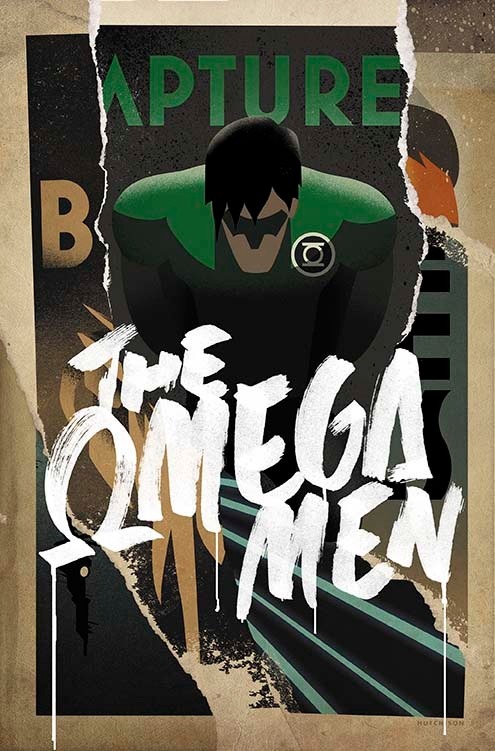 It was only due to a good bit of fan outcry that this latest version of Omega Men didn't get cancelled. Trey suggested that small creative industry solutions to DC's and Marvel's woes (like lowering expectations ) are stymied by the fact they are both owned by big corporations who (perhaps unrealistically) expect certain levels of performance. If so, then both companies are sort of trapped in a death spiral. I'm looking forward to seeing how 2016 plays out. The Luthor/Kent/Wayne exchange with the joke of Luthor saying, "You wouldn't want to fight this guy" to Kent. That made me smile. I sort of hope Eisenberg is like that through the whole movie. It's hammy, but it's a type of hammy I can appreciate. It's got a nice Paul Lynde vibe to it. Trey Causey: Agreed on Eisenberg. I think he has the sort of Luthor. He has the sort of swarmy wunderkind thing going that works perfectly for a Luthor translated to the modern era. He probably helps that Eisenberg played Mark Zuckerberg, so this is same sort of arrogance. StevieB: I also liked Eisenberg. It's been hard for me to point my finger on why. I think it's because in the ridiculously serious tone that Warner Brothers has taken their last few movies, it's nice to see some camp. I really like Batman's voice changer. No more sounding like a 60 year old who's smoked a pack of cigarettes their whole life. I also think they've really nailed that costume. Wonder Woman was great. I'm beginning to think more and more she's going to be the voice of reason in this movie. 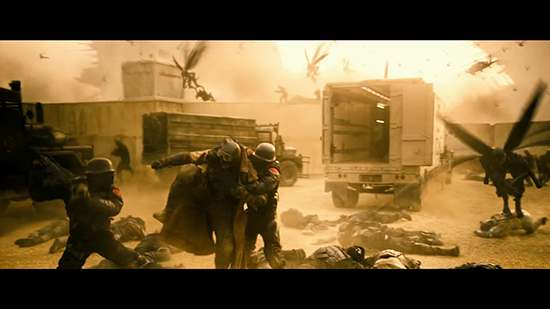 Am I the only who caught the three seconds of Parademons? As far as "Doomsday" goes; how much do you think they paid Disney to borrow the likeness for Abomination? 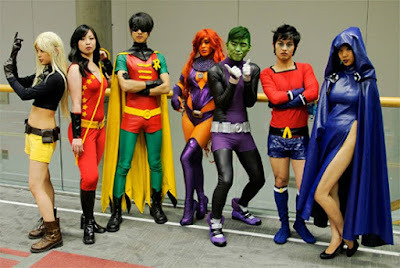 The could be some sort of winged Bat-Force that Batman has put together to counter the Superman Arm Band wearing guys. 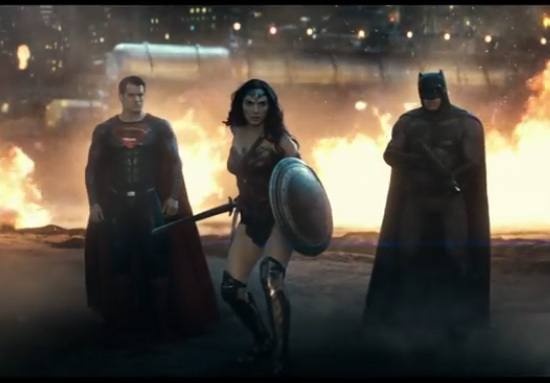 But I would prefer it was Parademons, as that helps set up other stuff to come. Imagine how stoked everyone will be if we even get a glimpse of Darkseid in the vision.